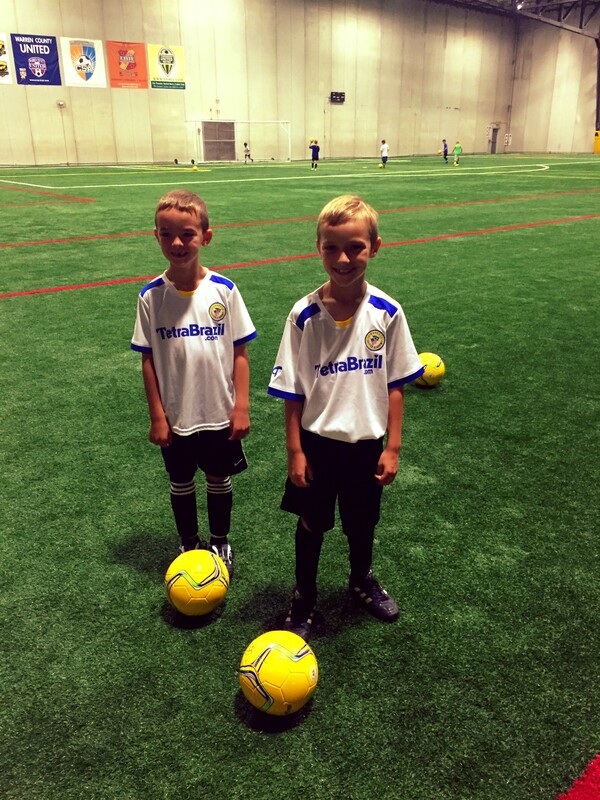 Two weeks ago, Austin and his buddy attended the Tetra Brazil – Challenger Sports – Soccer Camp. Last year, I jumped at the opportunity to send Austin to the British Soccer Camp! He had a great time last year and really learned a lot! This year we decided to try the Tetra Brazil Camp they offered. We really like the Wall 2 Wall indoor location in Mason because it is indoors and only 2 hours vs. an outdoor summer camp and 3 hours. Something to keep in mind for next year – if you register by a certain date (pre-register) you get a FREE jersey(the one they are wearing here), soccer ball (also pictured), and a t-shirt!! At the end of the week his coach sent home certificates with a written note and “graded” them on the items they excelled, developed, and improved in. Austin was VERY proud of himself. 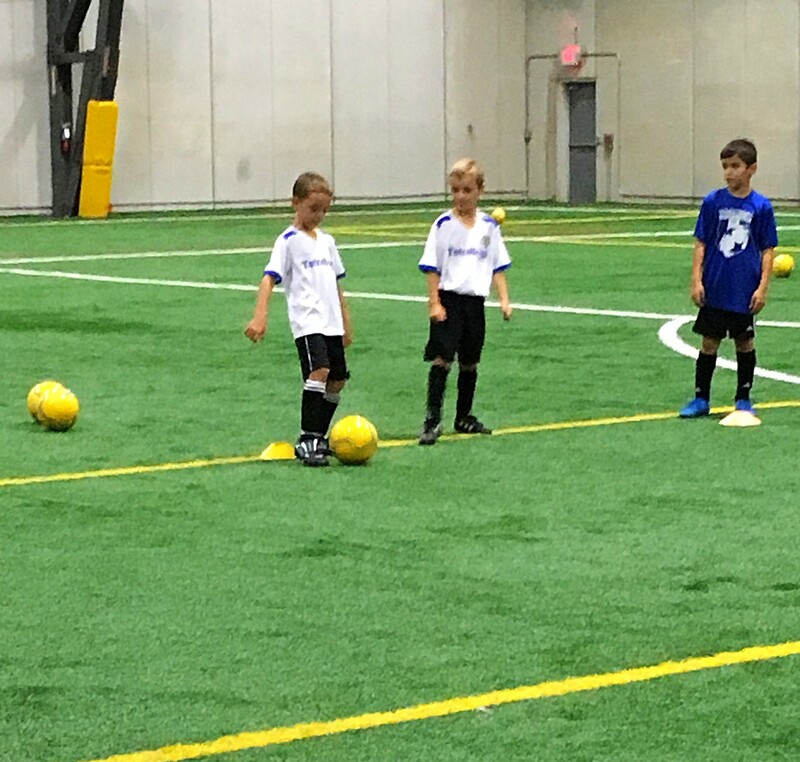 Confidence building is Key at this age of soccer players! This year’s camp was harder than last year, according to the boys. All and all, Austin and Cody LOVED this camp and had SO Much fun!